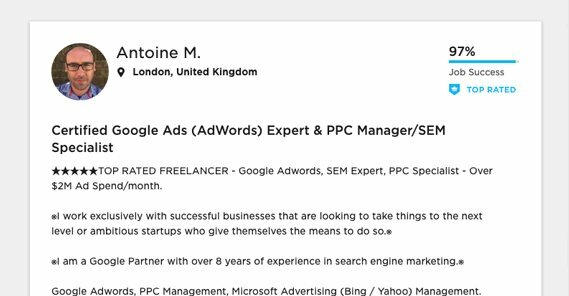 Blog > Resources > How Much Does It Cost to Hire a Google Ads Expert? This is a question I hear time and time again, and it’s one I’ve asked just as many times. Who has time to do everything for their business? Sure, when you’re a one-man operation you can cram everything in for a while, but you face the very real risk of burnout. Even the most high-powered cocaine-fueled titans burn themselves out. It just makes sense to offload tasks that end up being a lot of busywork. If you’re spending 4 hours a day filing paperwork, you hire a clerk. If you’re never getting work done because you’re stuck answering the phone, you hire a secretary. Other tasks are worth offloading because they require skills that are outside of your skillset. Instead of spending the time learning and fumbling and wasting money, you hire someone who knows what they’re doing. Many of these tasks can directly make you money as well, so it’s a very worthwhile endeavor to spend a little to make a lot. Hiring someone to manage your Google Ads is generally more of the latter position. It’s pretty difficult to just dive into Google Ads and expect to be successful. There’s a definite learning curve, a lot of skills that go into managing ads for a company, and there are expectations for a certain level of success. Plus, they take a lot of time to manage, monitor, and improve, even if you’re using tools that do a good chunk of that automatically. Of course, you need to make sure you’re balancing out the cost of your employee or freelancer with the profits you make from the ads. If your ads, at their peak, only make you an extra $500 in a month, it doesn’t make sense to spend $2,000 that month on the ads manager. Now, if the ads manager can turn that $500 into $5,000, that’s another story. As with any case where you’re looking to hire a freelancer or a new employee, or even contract an agency, you need to know what you want out of the relationship. Different levels of requirements will have different levels of pricing. Let’s look at some of the factors you should think about, and some factors that can affect the cost of hiring a Google Ads expert. What level of service do you require? I already mentioned this right above. Are you looking for an employee you pay a regular salary and can control completely, a freelancer who will likely cost less but dedicate less time to your ads, or an agency that knows exactly what they’re doing, and charges like they do? In general, a freelancer is going to be the cheapest option. Freelancers tend to have numerous clients at a time, and while they can run a wide range of skill levels, it’s easy to pick up and drop a contract if they aren’t working out. Freelancers are also often less reliable; it will take a few attempts to find someone who meshes with your brand, who has steady availability, and who knows what they’re doing. That said, freelancers sometimes come with the additional cost of the platform you’re hiring them through. Sites like Upwork often skim a bit off the top, so you’re paying for both the freelancer and the platform that connected you. An employee is going to cost more than a freelancer, and depending on your business situation and their requirements, you may have additional factors to consider, like benefits. You probably don’t want someone working for minimum wage to be in control of your advertising budget. You need to go through the whole application and interview process, which is much more time consuming that scoping out a freelancer, and you often need to find someone who has adequate experience with managing paid ads. An agency is probably going to cost the most, and in fact often will charge you a percentage of your ad spend in place of or in addition to a flat fee. The upside is that they know exactly what they’re doing and likely have professional tools to help them squeeze every cent out of your ads they possibly can. You’ll see the best returns, but it’s the biggest investment. 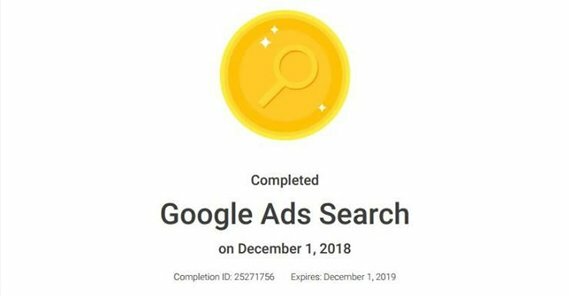 Did your ads manager learn with their own money? This is a good question to ask when you’re looking at individuals you might consider hiring or contracting. You don’t want someone who is just bluffing with their skills and will be using your budget to practice. You also don’t want anyone who is used to spending other people’s money, and thus feel like mistakes don’t personally affect them. It’s really easy to fall into a trap where, when consequences are minimal, you take risks you shouldn’t. An ads manager may be more likely to be experimental without data, or to go with gut feelings instead of analytics, or to shrug off mistakes that cost their employer money when it doesn’t affect them. If they learned by using – and losing – their own money, they’re more likely to be careful with yours. Are you getting what you pay for? This is usually a question for agencies. Agencies often bundle together a bunch of other services. They’ll run your Google Ads, but they might also offer Facebook, Twitter, or other paid advertising as well. Some will be total marketing agencies, willing to run your social media organically, as well as running a blog for you. The important thing to watch out for is agencies who offer all of those services, but charge you for them even if you don’t want them. If you’re perfectly fine running your own blog, don’t pay for someone else to not do it for you. Alternatively, take advantage of every service the agency has to offer you. Do they have experience in your niche? This is a pretty important question. You want people who are familiar with not just your industry, but your niche within your industry, your competitors, your audience, and the kinds of techniques that tend to work best. Even something as simple as picking the right selection of colors for ad images can vary depending on audience and industry. What are their KPIs? If possible, view a sample report from the agency or individual who will be producing reports for you. If they’re showing you things like the number of clicks or impressions your ads get, they’re not a good ads manager. You want them to be talking about metrics like cost per action, conversion volume, and profit. Is the agency certified? 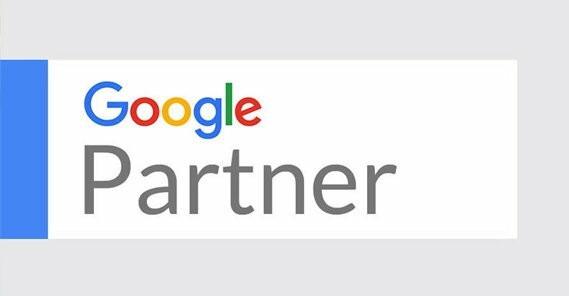 For agencies specifically, you want to find one that is certified as a Google Partner. This usually isn’t available to individuals and freelancers, since it requires maintaining a certain level of ad spend, but agencies can reach that bar quite easily. Are there onboarding or setup fees? When you take on a new freelancer, you may be charged setup fees. Agencies usually have fees, but individuals might not. Some may charge an initial fee as a buffer in case the contract doesn’t work out. Others might use it to cover the costs of the tools they use to manage ads for you. This is generally a one-time fee, so I’m not considering it in the cost analysis below. What Payment Model Are You Expecting? 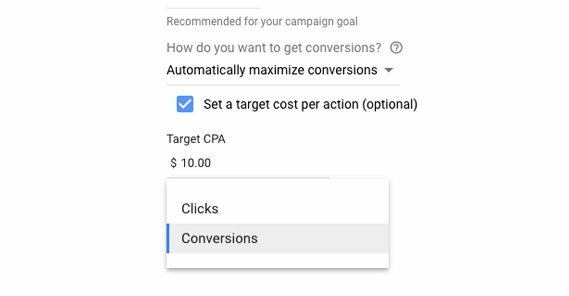 When you’re considering who you should hire or contract to manage your Google Ads, you need to consider the style of payment. This is similar to the decision between employee, freelancer, and agency, except any of them might use any payment model. There are a handful of different models you’ll likely encounter. The Flat Fee Structure is a simple structure where you you’re charged a flat fee per month for services rendered. This fee will be presented as an estimate based on what you need from the individual or agency you’re contracting and the budget and ad requirements you have for them, and can be readjusted periodically. If you’re operating with gradual growth, a flat fee can work out as a discount in the long run between reevaluations. The Hourly Rate Structure is not usually a good choice, so if someone is charging hourly, you may consider looking elsewhere. People charging hourly are either working with a large number of clients to maximize their earnings, or they are inflating their time spent, or both. This is simply because, from the freelancer end, hourly rates are very hard to make a living wage on. The Percentage Spend Structure is one of the most common for ad management agencies, and many high powered freelancers are adopting it as they gain enough of a reputation to make it feasible. When you buy ads, the ad manager bills you for the ads + 10-20%, depending on their fees. 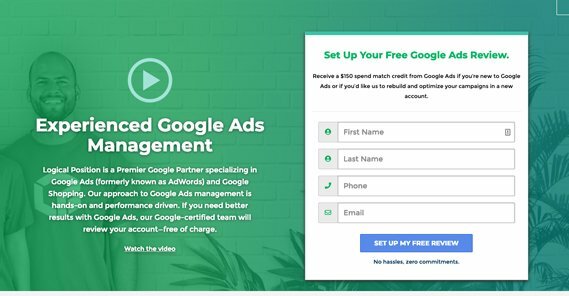 This model helps incentivize the ads manager to be successful, because when their ads are successful for you, you’re more likely to spend more on ads, meaning they make more money. The Performance Fee Structure is usually a pretty big warning sign. Paying only on successful performance of your ads may sound like a good idea, but it’s a structure generally used by people who don’t necessarily know what they’re doing, and it puts a lot of risk into the relationship. If the whims of the market mean an ad unexpectedly fails, sure, you don’t have to pay, but the freelancer doesn’t get paid, so they have to struggle and may abandon that line of work entirely due to the risk. The Employee Structure is, of course, simply hiring an employee for a regular salary. The drawback to this is generally the work you need to put into finding a good employee, rather than anything inherent with the fee structure itself. How Much Can An Ads Manage Cost? Now you know the kinds of things that can affect the cost of hiring someone to run your Google Ads. How much money actually changes hands, though? In terms of actual numbers, what are the appropriate ranges? If you like, you can consider looking at it from the perspective of a freelancer, so you know where your money is going. At the low end, the cost of your ads management is going to be basically just the cost of your budget plus 10%. If you’re spending $40 per week on ads, and someone is charging you a skim off the top, you’re only paying something like $44 per week, or around $175 per month. That’s quite reasonable, consider the majority of the money is in the cost of ads themselves. Of course, when you’re functionally paying your freelancers $16 a week to manage your ads, you can bet they’re only spending an hour a week doing it. This goes up as your budget goes up. For freelancers, the cost per hour seems to run between $50 and $200 an hour. 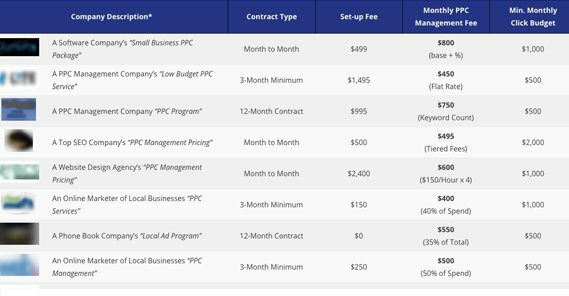 You can see a bunch of profiles and their cost ranges by checking out hubs like Upwork. There are outliers, like one who is only charging $36 per hours, but the average seems to run around $75 per hour. This is, of course, an hourly rate, so the total cost per week or month to run your ads will depend on the number of hours it takes them to manage your ads. Plus, you have to consider the cost of the ads as well. Full-service agencies tend to be the most expensive. I’ve seen fixed-price packages running for $1,000 per month at the low end. Mid-sized agencies will charge as much as 10x that, and the sky is the limit for top-tier agencies used to working with companies with a global presence and costs in the 6+ digits.